Getting a flu shot is the single best way to avoid getting the flu. If you are sick, you should stay home until you are free of fever, without the use of fever-reducing medicine for at least 24 hours. Getting a flu shot is the single best way to avoid getting the flu. 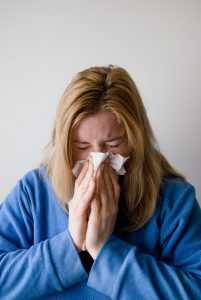 CDC recommends that everyone 6 months and older receive a yearly flu vaccine. There are many different flu viruses and the flu vaccine protects against the three viruses that research suggests will be most common this season.